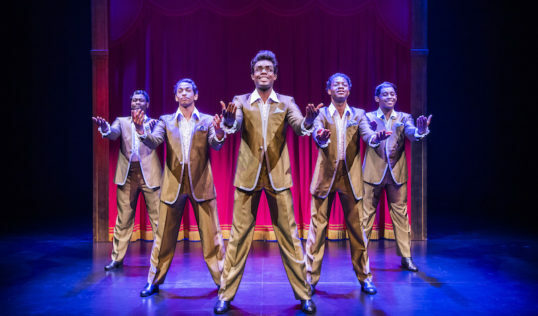 Motown The Musical, touring to the King’s until December 8, has a strangely conceived storyline, but is carried along on a wave of wonderful music. The book, by Motown founder Berry Gordy Jr, is based on his memoir. As a result, the story of how he set up a record company thanks to a loan from his family, and built up a massively successful business both artistically and commercially, is very much an authorised version. Moreover, the story of how an African-American owned concern conquered various forms of segregation is presented in something of a whistle-stop fashion. 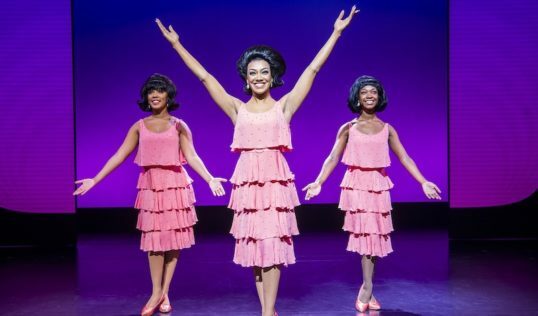 There are over 60 musical numbers – some frustratingly abridged and used to showcase various Motown artists, other used more or less successfully to drive the plot. There are huge problems with much of the storyline – it is one of those that seems to simultaneously assume the audience have both too much and too little familiarity with the story. 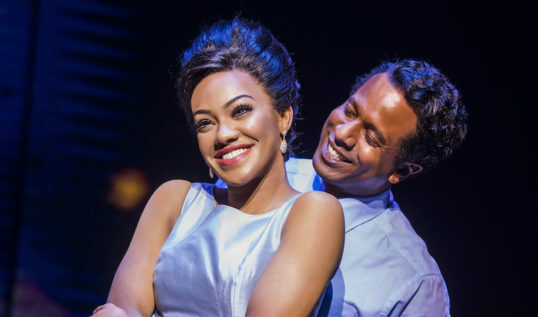 The importance of honey-voiced poet Smokey Robinson to the Motown story is sidelined, as Gordy himself takes centre stage, with his relationship with Diana Ross the focus of much of the narrative. Gordy’s dealings with the maverick Marvin Gaye (one of those associated with the label who could genuinely be called a genius) would surely be given a different slant by others. The astonishing, ground-breaking series of 70s albums by Stevie Wonder, meanwhile, is given short shrift. Instead, we get bizarre audience participation elements in a storyline that seems to insist that Ross was Motown’s greatest talent (which is debatable), and that Vegas supper-club schmaltz represented some kind of step up from the extraordinary statements Gordy’s various labels put out on 45s in the 60s (which is not even worth arguing about). Luckily, there is enough of the music to sweep all doubts aside. Even in truncated form, the songs shine through. Any suspicion that these are going to be karaoke versions – or cheesy tributes – is soon dispelled; a huge cast throw themselves into a series of song and dance routines that have just the right mix of rawness and sophistication. Edward Baruwa is a charismatic Gordy, and his duets with Karis Anderson’s suitably diva-like Ross are a highlight. Nathan Lewis is a smoky Smokey, while Shak Gabbidon-Williams manages to evoke much of Gaye’s wounded vocal style. But it is the ensemble pieces that are the most exciting. Various Four Tops and Temptations songs are thrillingly done; a version of Ball Of Confusion that opens the second half is sensational, while anyone who fails to be thrilled by My Girl or Get Ready, even if it is the thousandth time they have heard it, needs to see a doctor. The Jackson 5 medley, meanwhile, just proves that I Want you Back, ABC and The Love You Save are not only the greatest first three singles any group has ever recorded, they are quite simply among the greatest artistic achievements of the 20th century. If that seems hyperbolic, this probably is not the show for you; suffice to say that the young performer playing Michael Jackson threatens to steal the whole show. There is an attention to detail throughout the staging that is commendable. Charles Randolph-Wright’s direction is pacy without ever seeming over-hurried, and manages to smooth over some of the odder turns in the book. Patricia Wilcox and Warren Adams’s choreography is eye-popping. David Korins’s set is beautifully elegant, lending itself to some clever projections. Emilio Sosa’s costumes (bar some over-obvious ‘hippy’ gear) and Charles G. LaPointe’s wigs are outstanding. MD Griff Johnson’s band are never going to be the Funk Brothers, but they are more than up to the task of propelling a hugely diverse set of tunes. In the end, what could be either a vanity project or an empty tribute becomes, despite some odd choices and a frustrating attitude to much of the music, both comparatively informative and genuinely joyous. 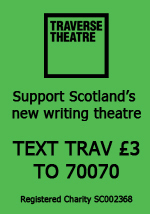 Evenings (not Sun): 7.30pm, Matinees Thurs, Sat: 2.30pm. 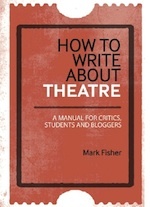 Tickets and details: Book here.